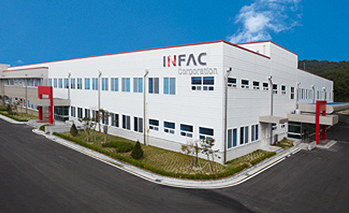 Control Cable, Ignition Cable, EPB, ECS, Actuator, etc. 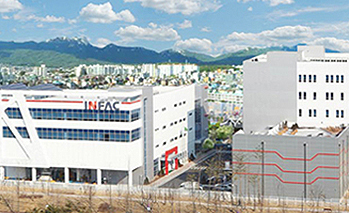 INFAC Co., Ltd. was established in June 1969 in Seongsu-dong, Seoul with the aim of localizing automobile cables.INFAC has been a specialized supplier for Control Cable, Ignition Cable, etc which In 2003, has continued to grow by expanding products such as solenoid valve and switch production.In 2012, we have constructed a new Chungju plant, a factory dedicated to the entire product line to produce the next generation electronic parking brake, preparing for the future of the automobile industry. 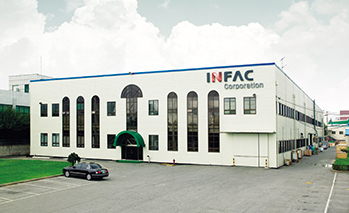 From the start of supplying cables to Hyundai Motor in 1972, INFAC has been supplying solenoid valves, electronic parking brakes and various others to key Automobile manufacturer such as Hyundai, Kia Motors, Ssangyong, MAZDA, Hyundai Mobis, Hyundai Motor.For over 40 years, we have constantly researched and developed the safety and customer satisfaction of drivers. As a result, from Hyundai Kia Motors, Hyundai Mobis, GM, etc, honored to be selected as a best partner by our customers consecutively. 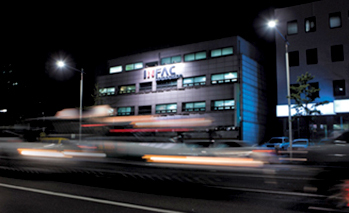 promise to leap to become a global first-class comprehensive auto parts company.